I believe that in 30 years or so we will no longer need to kill any animals and that all meat will either be clean or plant-based, taste the same and also be much healthier for everyone. –Richard Branson on the Virgin blog. Recently, clean meat startup Memphis Meats inspired headlines with the announcement that it had raised multi-millions in funding from big-name backers including Bill Gates, Richard Branson, Jack & Suzy Welch, top venture capital fund DFJ, and global food conglomerate Cargill. 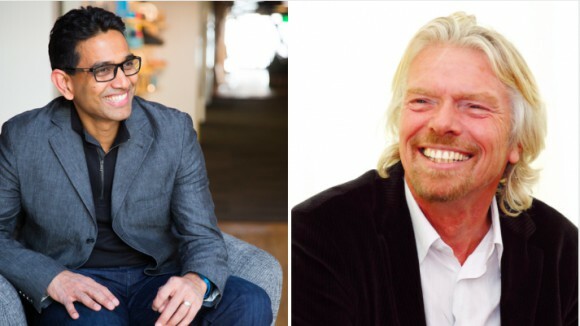 Since then, Richard Branson has been one of the most vocal supporters of Memphis Meat’s innovative approach to meat production – and it’s not difficult to see why. There's the obvious reason that Memphis Meats is reimagining an trillion-dollar industry. Anyone would be excited to support such a company. Then there are more personal reasons: I like to think that for Richard Branson, game recognizes game when it comes to innovative vision. Thirty years ago, Richard Branson was stuck in an airport after his flight to the British Virgin Islands was cancelled due to poor planning on the part of the airline when he had the idea: Why can’t this be done a better way? Why can’t we make the customer experience during air travel a positive and empowering one? Why hasn’t anyone tried to approach this industry with a new vision? Soon, Branson was even better known as the leader of Virgin Atlantic airlines than as the music industry mogul of Virgin Records fame. One has to assume that Branson recognizes a kindred spirit in Dr. Uma Valeti: a cardiologist who left the field at the top of his game (as the president of the Twin Cities American Heart Association and an associate professor of medicine at the University of Minnesota) to co-found a company that’s applying a new vision to meat production. In the process, Valeti and his team are rewriting our relationship with the planet and the animals that inhabit it. Memphis Meats is working so that “one day” happens sooner rather than later. To learn more about GFI's work supporting clean meat's commercialization, read up on what we do.